Valhalla Acres produces quality fiber from humanely treated sheep. All of our products are hand-spun and dyed right here at the farm. Reduce Static and Shorten Drying Time. Never need fabric softener again. 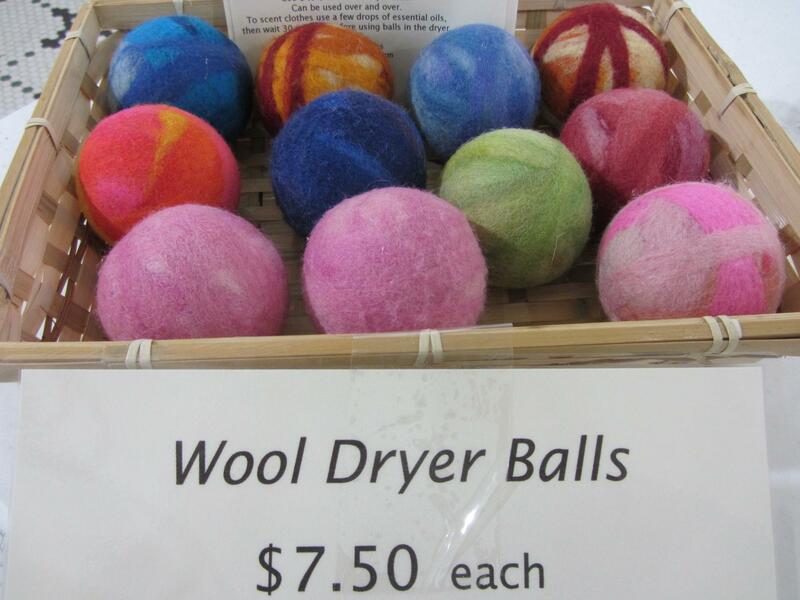 Use 2 to 4 balls instead of dryer sheets. Use 6 to 8 to reduce dryer time. To scent clothes: use a few drops of essential oils, then wait 30 minutes before using balls in the dryer. 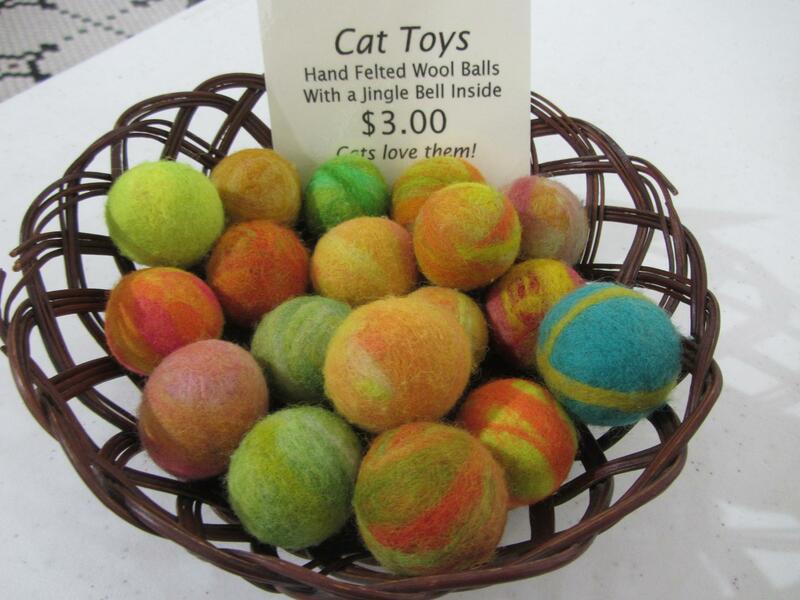 Cat toys are $3.00 each, with shipping of $3.00 for 1 to 10. If you are a spinner you already know what roving is, otherwise let me explain. Roving is a fleece of wool that has been carted and is ready for spinning with either a spinning wheel or another device. We sell a variety of dyed and pre-dyed roving. The spinners at Valhalla Acres stay busy creating beautiful fiber art with our spinning wheels in the evenings, and we make this yarn available for sale. We resell Babe Spinning Wheels, these are affordable new spinning wheels made out of PVC pipe by developmentally disabled people in Wisconsin. We also sometimes have antique spinning wheels that we have restored. Wool hats are warm and help keep the wind and snow from bringing you down in the winter. We offer a variety of hand-knit and machine-knit hats for sale. The on-line catalog for our shop will be coming in the future, but currently you can find our products at a couple of different places. Our farm consists of 57 acres of land. We are located in Muskingum County, just west of Zanesville. We are right off of the Old National Road close to a small community known as Mt. Sterling.